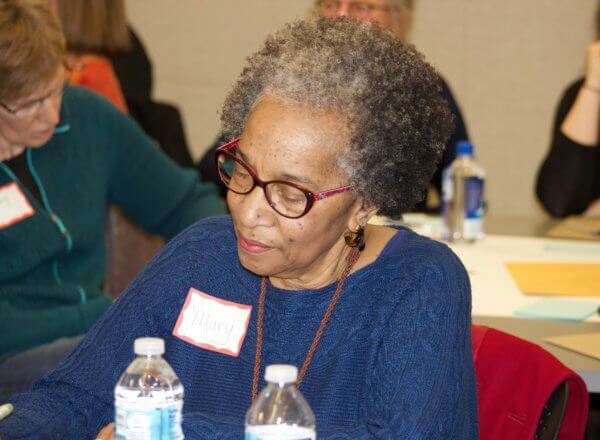 We invest in organizations that keep older adults connected to their community. Life expectancy has significantly improved over the last 50 years, and our society is not prepared. Over the next 20 years, the Denver area’s population of older people will grow rapidly and disproportionately to other demographic groups. At Rose Community Foundation, we believe that we should all be able to sustain our own independence and a high quality of life for long as possible as we age. We support organizations that keep older adults engaged in our community and that provide access to appropriate services for older people. We invest in organizations that connect older individuals to safety net services like home-delivered meals, handyman services and transportation. We also support organizations and initiatives that encourage people over age 50 to stay involved, active and engaged in solving community issues with their wealth of talent and experience. Rose Community Foundation has been committed to improving life for older people for more than two decades. We have helped to create and nurture organizations, partnerships and coalitions that are critical to this work, including Boomers Leading Change, Colorado Latino Age Wave, Benefits Checkup, and KUSA 9NEWS Senior Source. Funding for issues facing our older population is shrinking even as its numbers grow and needs are projected to increase. Rose Community Foundation will continue to invest strategically in organizations that provide vital services to older people in our community and their family caregivers. We will also actively work to build connections and collaborations to deliver services effectively and efficiently. Finally, we will continue to work with our community partners and leaders to provide information, resources and creative solutions to ensure that all of us can age with dignity. It really is as simple as this – food equals health, healing, security and well-being. For many older adults living alone, having a meal delivered can also provide personal contact and connection.